How can I view my shifts as an employee? The easiest way to view your roster is via the “My Shifts” section of RosterElf which is available on PC, smartphone app or tablet app. The PC version of “My Shifts” is the first page that loads when you log into your account similar to below. You are able to view rosters up to two months in advance. A green tick indicates a past shift for which you were rostered. 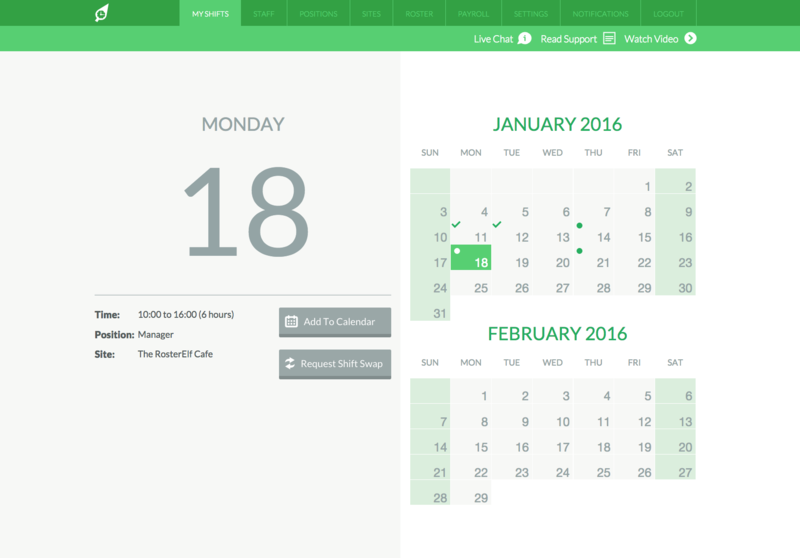 A green dot indicates a future shift for which you are rostered to work. 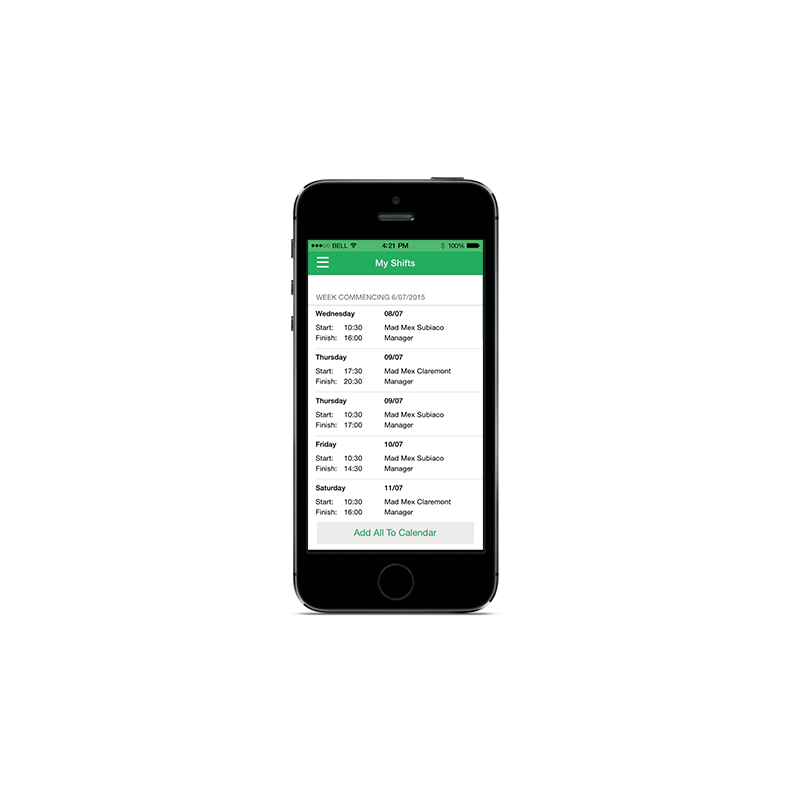 Employees can also view the "My Shifts" section by logging into their account via our free iPhone and Android apps. My Shifts on smartphone looks similar to below.